This entry was posted in Busting Blocks: Movies, Uncategorized and tagged 3D, alien, Apocalypto, Avatar, blockbuster, CGI, colonization, Dances With Wolves, Danny Glover, David Brooks, Evo Morales, Haitian Revolution, imperialism, James Cameron, Lakota, Masai, Mel Gibson, myth, Na'vi, Sam Worthington, sci-fi, Sigourney Weaver, social commentary, Sophia Stewart, Terminator: 2, The Matrix, the Vatican, unobtanium, Zoe Saldana. Bookmark the permalink. Great post! I saw Avatar not too long ago and I really enjoyed it; not expecting to take anything away from it. What you say is true, too; it’s only by going into some sort of fantasy land that our culture is comfortable talking about our trespasses. The victory, too, is also an interesting twist: it’s a standard ending that sells well in most popular movies, though the reality is that this kind of finale is so infrequently realized in the world of colonialism. I would argue that the Na’vi most likely would have lost (or will lose, if Avatar is read as a beacon of what is to come); if not by military conquest, then by the economic forces of inter-globalization. This would be a sad movie, and probably wouldn’t have the same box-office success. 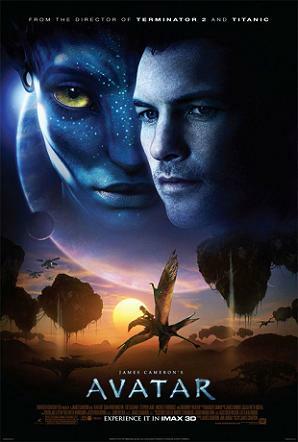 Perhaps in Avatar 2, the Na’vi all get a free limited supply of iPhones as a divisive promotional offer. Chaos then ensues as their culture is crushed, trading unobtainium for their long traditions of holding fast to their land. It can then be twisted around as a resounding success with unheard-of margins and profit by Apple computer; this would then save the depressing tale by a happy ending from the point of view of the victors, captains of industry with teeth of gold. _Maybe_ it’d get people to think a bit.. but who knows. omg girl, I thought I was the only person who thought this way about the movie. I’ve spoken to several people and only a few even acknowledged the fact that this is the constant story of the struggle native ppls of every continent faced as some point or another in their history. The majority just didn’t understand or looked at me like people still don’t judge folks by their appearance: skin color, hair type, clothing choice etc., wether it’s good judging or bad judging. lol!